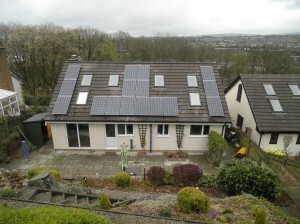 This detached house in Darwen has a south facing roof. 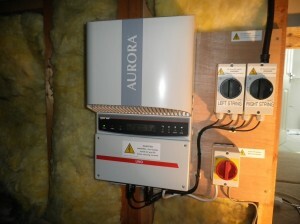 We installed 16 Hyundai 250W monocrystalline solar panels with a Power-One Aurora PVI-3.6OUTD inverter. The yield projection for this system is 3272kWh per year. 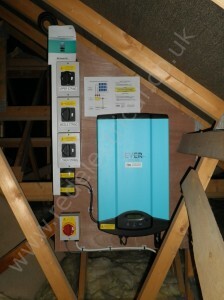 We installed 15 CSUN 200W monocrystalline solar panels with an Eversolar TL3200 inverter. 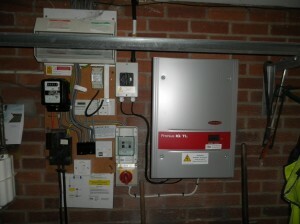 The yield projection for this system is 2416kWh per year. This detached house in Great Harwood has a south facing roof. 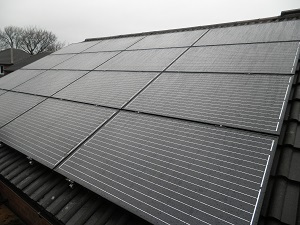 We installed 16 Suntellite 250W all black monocrystalline solar panels with a Samil 3680TL inverter. 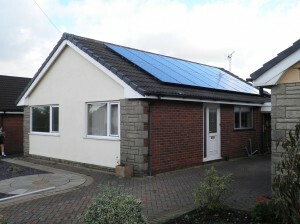 This detached bungalow in Hoddlesden has a south facing roof. 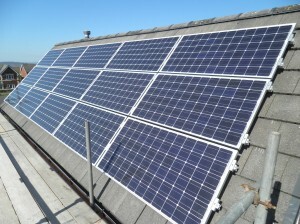 We installed 16 Hyundai 250W monocrystalline solar panels with a Fronius IGTL 3.6 inverter. 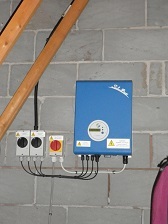 The yield projection for this system is 3516kWh per year.